Desert AIDS Project collaborates with Desert Oasis Healthcare to make state-of-the art Hepatitis testing and treatment accessible to the community. PALM SPRINGS, CA, (December 5, 2016) – Desert AIDS Project (D.A.P.) has opened the doors today to the Hepatitis Center of Excellence – a new clinic designed to address a serious and growing need for Hepatitis care in the local community. D.A.P. is collaborating with Desert Oasis Healthcare (DOHC) to staff the new Center with Infectious Disease Physicians and Pharmacists who specialize in Hepatitis care. Located at D.A.P.’s main campus in Palm Springs, the new Hepatitis Center of Excellence will deliver comprehensive, state-of-the art expertise to manage, support and cure those afflicted with Hepatitis. Services will include non-invasive diagnostic testing and staging, improved access to curative treatments, and compassionate support for the many complex issues associated with a Hepatitis diagnosis. The new Center anticipates its major emphasis will be testing and treatment of Hepatitis C (HCV), a contagious liver disease that ranges in severity from a mild illness lasting a few weeks to a serious, lifelong illness that attacks the liver. Hepatitis C can lead to liver cancer, the need for liver transplants, and increased risk of death. The Centers for Disease Control and Prevention (CDC) recommends that every American born from 1945 through 1965 get a blood test for Hepatitis C. Thanks to recent medical breakthroughs, Hepatitis C can now be cured with anti-viral medication(s). The collaboration between D.A.P. and DOHC was first suggested to the administration of both organizations by Shubha Kerkar, MD, MACP. Dr. Kerkar has served both healthcare organizations for more than 20 years and has been a lead provider of HCV care for both agencies. “This collaboration is bringing the effective model of HCV care we’ve developed at DOHC, to the community served by D.A.P., which is an FQHC,” she explained, referring to D.A.P.’s status as a Federally Qualified Health Center. The new Center, which will make testing and care accessible to a broader population, accepts most private insurance, Medicare and Medi-Cal. Uninsured income-qualified patients can receive care at reduced costs. While systematic valley-wide testing would be needed to determine HCV prevalence in the Coachella Valley, it is estimated that as many as 4,000 Coachella Valley residents currently live with chronic HCV. Approximately 3.5 million people in the US live have HCV – with somewhere in the range of 40% to 85% unaware that they are infected. It is estimated that 2-3% percent of the global population, or 150 million individuals, are infected with HCV. Although D.A.P. has provided HCV testing and treatment for many years, the new Center enables the agency to offer its patients DOHC’s state-of the-art model of Hepatitis C care, delivered by Physicians and Pharmacists who specialize in Hepatitis. The DOHC model has been published and presented in State and Regional US forums. Additionally, the agency’s own unique D.A.P. Total Care model — which holistically integrates case management, counseling, and other healthcare services – will help patients to maintain their Hepatitis C medication regimens. With the opening of the new Center, DOHC will continue to operate its existing Hepatitis clinic in Palm Springs which has treated more than 200 of its members. Desert Oasis Healthcare is a healthcare organization that serves the residents of the greater Coachella Valley and surrounding desert communities of Riverside and San Bernardino Counties. DOHC is not an insurance health care plan. Rather, health care plans (Medicare, Medicare Advantage, and Commercial) contract with DOHC who in turn contracts with a network of over 100 Primary Care Providers, over 200 specialists, hospitals and diagnostic centers, and a continuum of health care systems. The DOHC network serves over 70,000 members/patients. Reflective of the ever changing healthcare world, DOHC has been evolving since 1981. 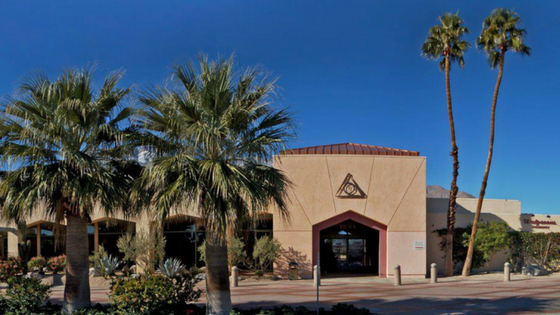 Desert Oasis Healthcare is a member of Heritage Provider Network (HPN), and was the first organization of HPN formed in 1981 as Desert Medical Group. In 1992, Oasis Independent Physician Association was formed and in 2006, the organizations merged to form Desert Oasis Healthcare. DOHC continues to grow its extensive network that includes Home Health, Family Hospice Care, Palliative Care, and Accountable Care Organizations to complement the network of agencies ready to serve you.